https://www.bleuepil.com/generique-ou-original.html C.H. 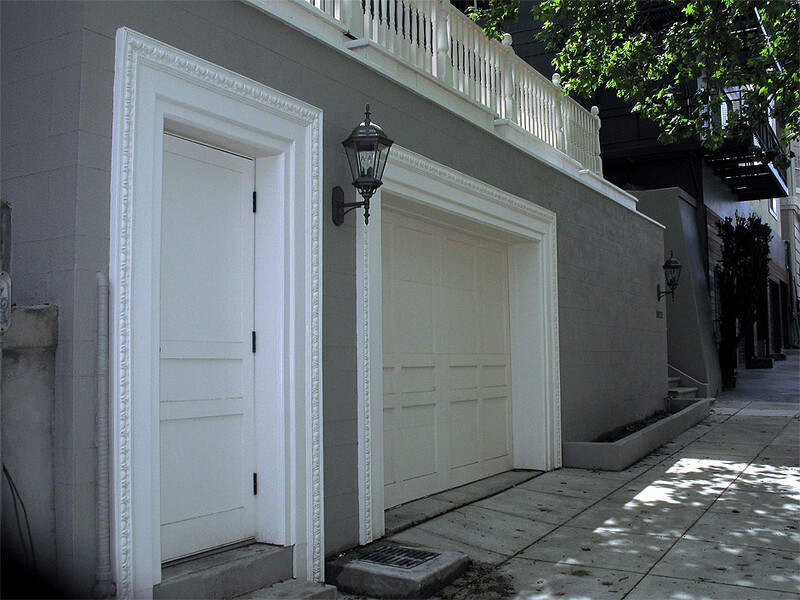 Burnham Inc., in partnership with Ciaran Rafferty Construction, completed this four car garage in Pacific Heights in early April, 2010. 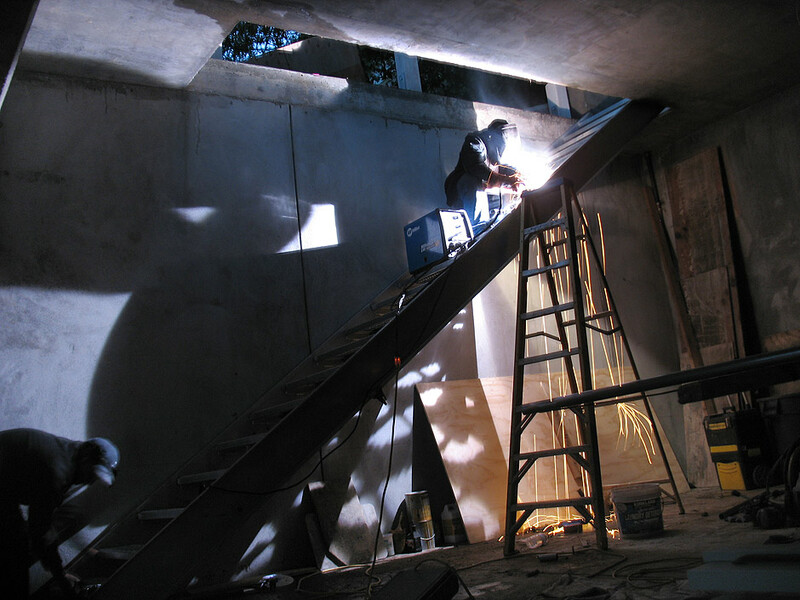 From precision excavation and shotcrete construction to the installation of marble slabs and plaster cast egg and dart trim, this project demanded expertise in every aspect of construction. 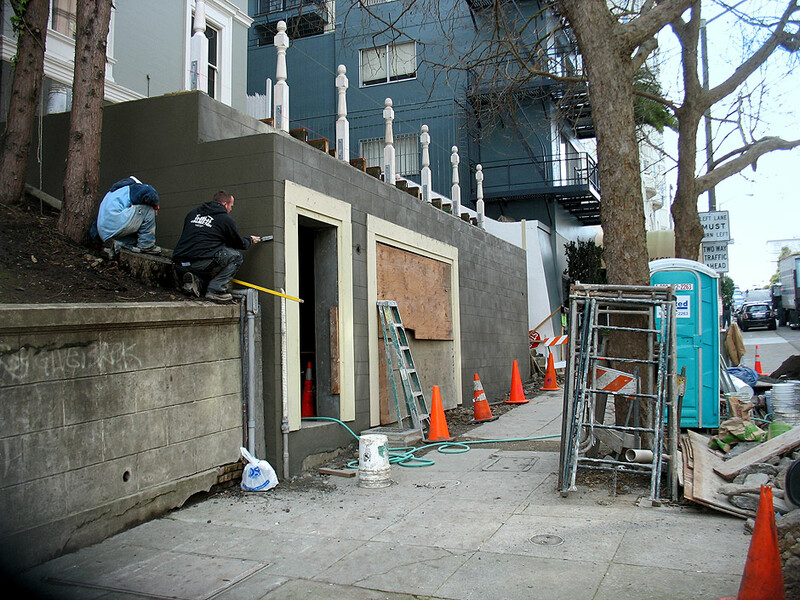 Completed in both a timely matter and on budget, you will see in the following photos, our crews, with the assistance of Mulholland Electric, West Cork Welding, Hughes Plastering, Fong’s Plumbing & Fire Protection, and VBE Inc., efficiently executed a complex project. 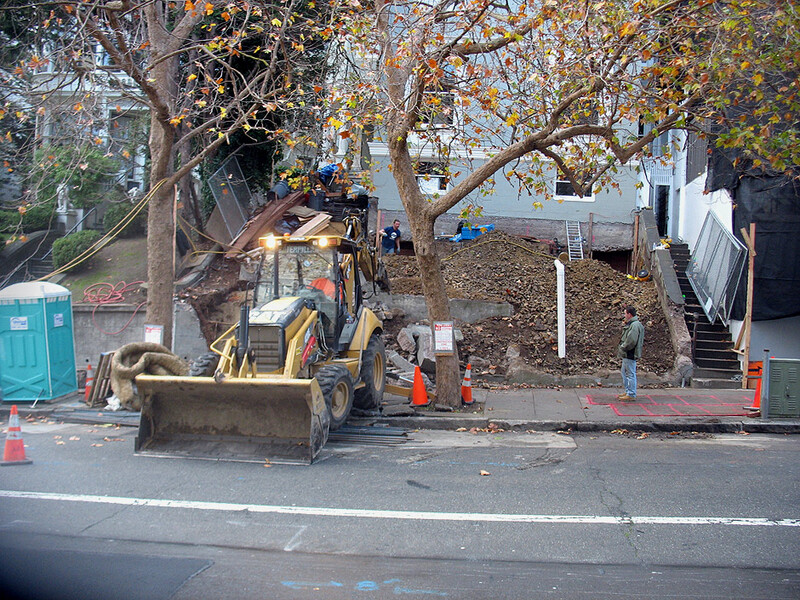 go site Before we could begin excavation for the garage, we needed to dig three 20′ deep underpinnings by hand beneath the 1906 home’s existing foundation. After we had successfully supported the home and installed the temporary shoring, we brought in expert excavator Billy Vaughn, owner of VBE Inc. Considering we were building up to both the western and eastern property lines, we excavated, formed and erected the walls in stages so as to not place the neighboring structures or the workmen in any unnecessary danger. 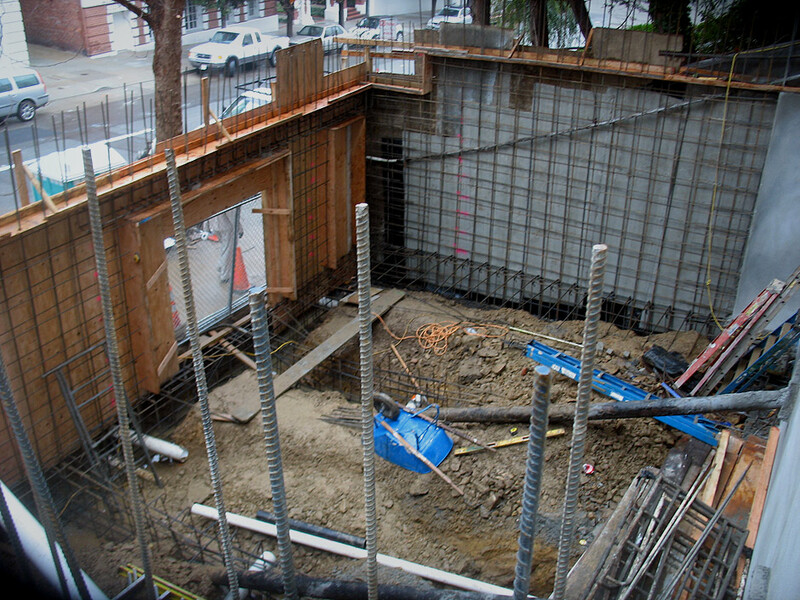 After the walls and spread footers were complete, we poured a 10″ thick slab roof. 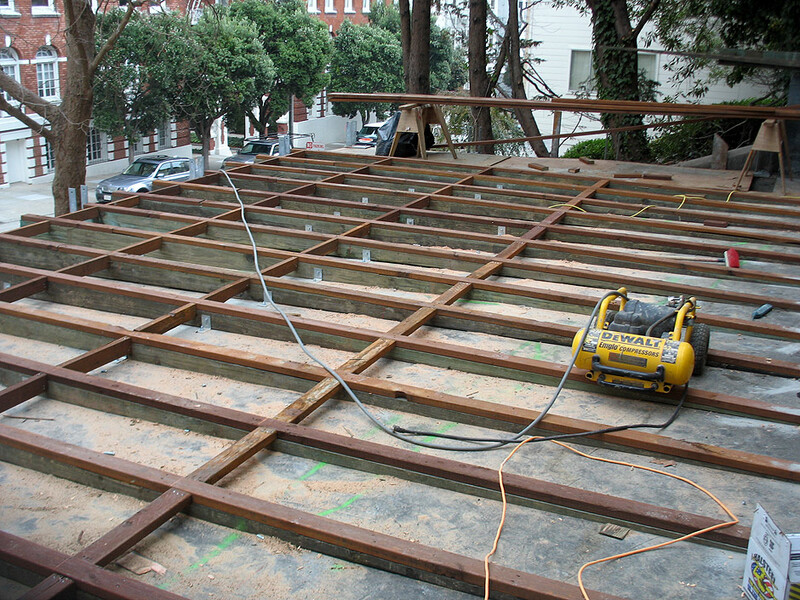 While the roof slab cured, we installed the tapered sleeper joists for the deck. We then removed the supports for the roof slab and poured the slab floor. 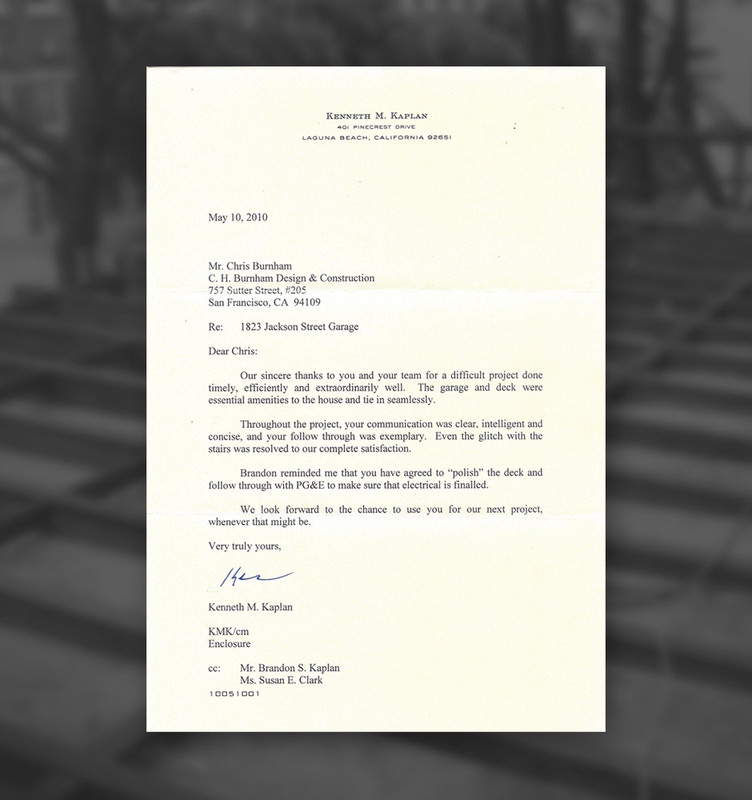 Once we completed the concrete phases of construction, we moved onto the finish stages of the project. 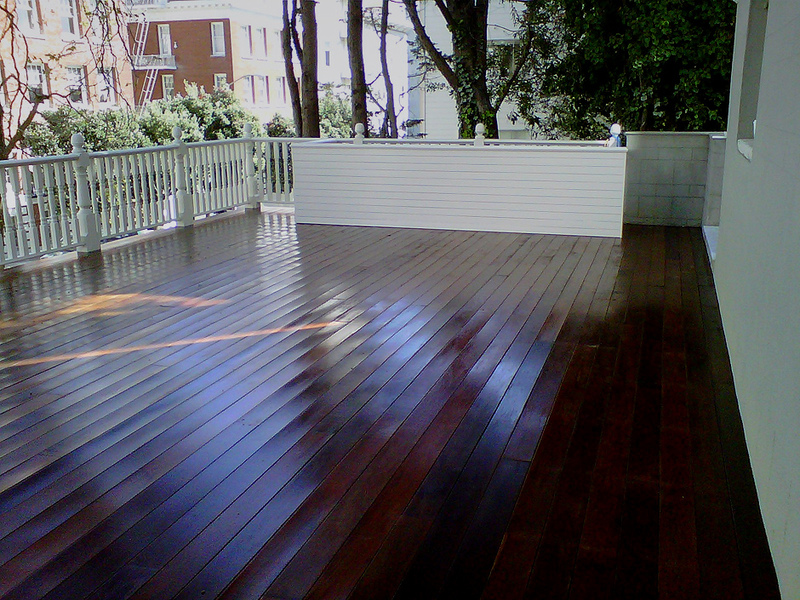 This included the installation of an ipe’ deck, a hand rail matching the existing railing on the third floor deck and six piece trim detail. After visiting several marble suppliers, we found a carrera marble that matched the existing steps (installed over 100 years ago) and polished/antiqued the materials accordingly. A few more elements, including a cement tiled entryway and a custom garage door, completed the integration of the new structure with the existing home. After cleaning the property and touching things up, we received the certificate of occupancy. I want to thank all those involved, including my client. This was a demanding project that required tolerating 6:30am start times and work on several Saturdays. I look forward to future projects, though it would be ideal if we could start the next project at the https://www.bleuepil.com/alternatives-au-viagra.html end of winter.